So how did Lacey Lafferty do during the 105.9 broadcast with Dan Gaffney? I got some thoughts AND my opinion about Lafferty’s endeavor. She’s good…….BUT…. Yes I listened to Dan Gaffney interview Lacey Lafferty on Monday, 3/30/15 on local station 105.9. All in all I thought it went pretty well. I’d give Lacey a solid B for her “performance”,l maybe even a B+. She sounded good, strong, secure with herself. Her nemesis, fellow Blogger, phoned in but Frank was nothing but a caller of class. Let us begin with this Vince Calabro, currently listed as Treasurer of Lacey’s campaign. Lacey assures us that she is seeking another campaign Treasurer to avoid the appearance of impropriety of having the Chair of the Sussex county GOP as a campaign Treasurer. She said she wouldn’t be hurried although I wondered why these people didn’t know this in, say, November or December of 2014 when the Sussex GOP chair was up for grabs, and do the deed then. There is also some confusion as to a recent fundraiser held in the beginning by the Sussex GOP then changed to another entity with checks being returned and really, the air stinks with all this. And Vince Calabro is silent as a post through it all. There is no denying Lacey’s connection to Vince but there’s nothing wrong with that so long as there’s an arm’s length kept between the two. I would have complained had John Rieley been listed as campaign treasurer for, say, Rob Arlett. This is why I deduct points for Lacey’s campaign so far but that’s about it. The woman works it and for that she has my admiration. Now I face the options I will have when voting for, first, a Republican nominee for Governor and second, when voting in the general gubernatorial election. Let me say this, unequivocally, that if Lacey should receive the Republican nomination for the Governor race that she will have my vote….no doubt and also my vocal and vibrant support. I do not, however, support Lacey for Governor. Lacey nicely addressed many issues during her Gaffney interview, including the sticky abortion issue. She talked about Delaware roads, she waffled gracefully about her Calabro relationship, she answered all personal questions easily and with charm. My issue with Lacey for Governor is as follows….What about Ruth Briggs-King? What about Brian Pettyjohn or even Steve Smyk, may Matthew Opaliski forgive me? Even Ernie Lopez or Bryant Richardson or even Rich Colliins. Ruth King has faithfully served the 37th district for many years now, one time she was even MY Representative. She has experience, she is a woman, she too has children, even grandchildren. I’ve listened to her speak on several occasions and she’s very knowledgeable on all subject matter Delaware legislative. IF any of these incumbents, particularly Ruth King, throw their hat into the ring I shall support them. They have already been elected once, several times…..and King is a female in case that’s the argument. 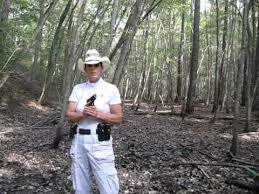 Here’s my suggestion Lacey…..maybe shoot for a Representative position, even the county council. Keep doing what you’re doing and who knows, some day there might be a Governor Lacey Lafferty. For now, my mind is still open and don’t think I have any especially close relationship with Ruth Briggs-King. I’ve had my differences with her. Also Smyk, Lopez and I have differed. Still I support them for their support. None of these people have announced their candidacy for Governor, please do not misunderstand. If Lacey gets the nod, and IF she takes care of all the administrative confusion with her and the Sussex GOP, I will support her fully. I’m just not sure she’s ready. And I don’t care if the Democrats nominate Jesus….I will never pull that lever for that godless party. NEXT : Sussex County Council meets and we shall be covering tomorrow, Tuesday, 3/31/15. And thank God March is almost over. 8 Comments on "Political Gossip and Tidbits Wandering About The Small Wonder That is Delaware-The 3/30/15 Edition"
You have no way of knowing this but there are approximately 180,345,625 Democrats in the nation. Of this number approximately 75% have some religious affiliation. So specifically you disrespected 135,259,218 people by calling them “Godless” because the party is the members and without the members there is no party. And by the way, 32,462,212 of these Democrats are your fellow Catholics. As an important person in the Catholic Church hierarchy recently said, “Who am I to judge?” I’ll ask you the same question, who are you to judge? 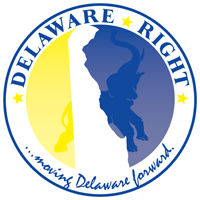 It would be nice if those who write for this blog remembered that the name is “Delaware Right”, not “Delaware Republican’. There is nothing in the mission statement that mentions either political party. I have no problem debating issues and philisophy, but one does not gain converts to your views by demonizing those who do not agree with you. You don’t win many elections that way either. Keep up the good work Pat Fish. I listened to the interview live and again via the podcast Dan posted. He gave Ms. Lafferty the opportunity to be forthright no less than 6 times about the party chairs involvement in her PAC and her campaign committee. Lafferty repeatedly stated there are current corrupt politicians in office but refused to name any by name. She stated she supported fellow Republicans and worked to help them win elections. How soon she forgets she along with fellow EC member did NOT support the Republican candidate for County Sheriff. What came shining through was her total ineptness coupled with arrogance. The how dare you question me or my actions, rang out loud, clear and true. In the interview Ms Lafferty said she retired from the state police on a hearing disability, yet in her shooting video, she doesn’t wear hearing protection? My ears hurt just watching that video. FBH there are numerous troopers who have hearing loss as severe as hers, that put in 20 and ones that are still troopers now. For the life of me I can not understand the lack of safety procedure (not wearing hearing protection) especially when she claims she is already deaf in one ear.